Kelvin George, the Siparia father whose five-year-old twin sons recently suffered head injuries at school, is considering his legal options. “I am not getting a fair deal because they were bullied,” George said. 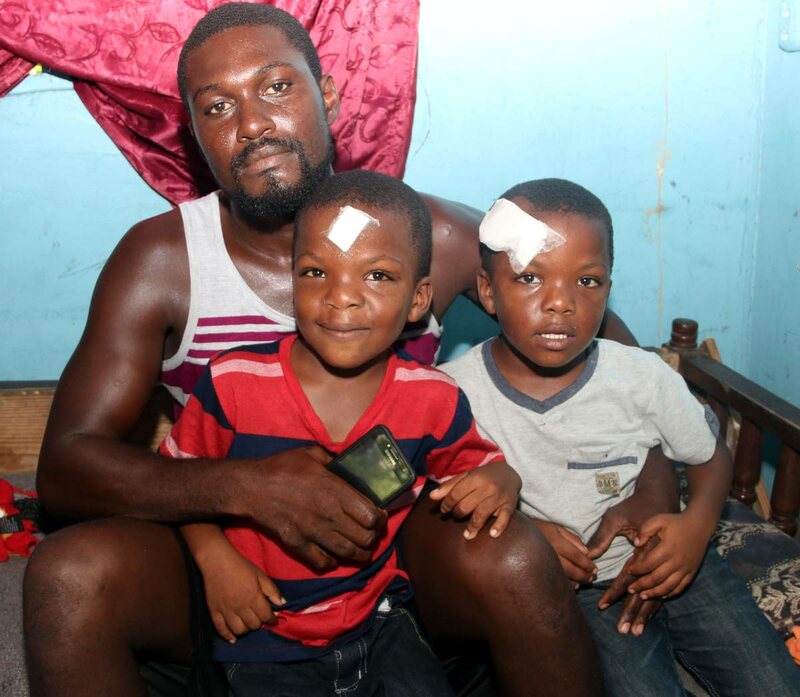 His sons Ishmael and Ishmaaeel, first year students at the Siparia Boys RC School, received a total 12 stitches to their heads on November 20, after an incident at the school. George, 32, of Alexander Street in Siparia, is accusing the school of covering up the “truth” as staff told him the boys accidentally hit their heads on a railing while playing. Yesterday, Siparia police took statements from the boys in George’s presence. They told police an older student broke a glass bottle and cut them with it. That student later threw away the bottle in some nearby bushes and ran off. But while police said that they are investigating the matter, George is not convinced he would get justice. The former boxer expressed concern that the boys may also be victimised when they return to school. George said, shortly before 3 pm on November 20 he went to meet the boys at school. As he entered the compound, he saw a female teacher holding Ishmael who had blood all over his face and uniform. He began a frantic search for Ishmaaeel. Moments later, he saw students accompanying Ishmaaeel. He too had blood on his head and uniform. They were taken to the Siparia district health facility. George yesterday called for counselling services for his son as well as the boy who is believed to have wounded them. Reply to "Father of wounded twins considers legal action"